You really can have it all—the new WCS C220 stem rivals the performance of the revolutionary C260 stem design, but it’s quicker and easier to install and remove thanks to a press-fit handlebar clamp interface and forward-facing hardware. 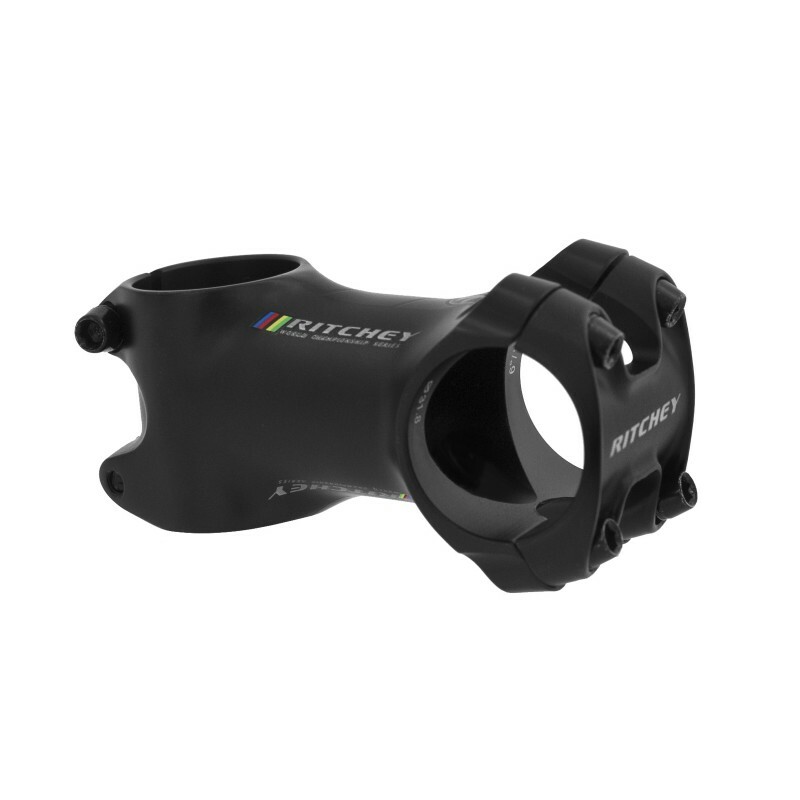 First proven on the Ritchey TRAIL stem, the C220 handlebar clamp design creates a more secure interface by wrapping a full 220 degrees over the handlebar. Bolt forces are aligned with the clamp so that the stem body ‘embraces’ the handlebar, which is less prone to damaging lightweight bars. This clamp design allows for a lighter faceplate and stem body with no sacrifice in strength or stiffness. The Carbon Matrix stem body is forged 7075 aluminum with a stiffness-enhancing carbon exoskeleton which makes this 12% stiffer than the WCS alloy C220 stem. Premium quality CRMO steel bolts are used throughout. Material: 3d forged 7075, carbon encased body, 4 x 4mm coated CrMo steel forward-facing faceplate bolts, 2 x 4mm coated CrMo steel offset steer tube clamp bolts, 5Nm torque max on all hardware, Compatible with all 31.8 bars, Press-fit clamp design installs and removes like a standard stem, Lengths: 70-130mm, Angle: 84/6 degree, Steerer Height: 42mm, Steerer: 1-1/8", Faceplate Width: 42mm, Matte UD Carbon Finish, 126g (110mm).